Karaoglan (Kartal Tibet) seeks revenge on the ruler Kashgar Burhan who separated his family. Along the way he falls in love with a girl named �lger (T�lin Elgin). 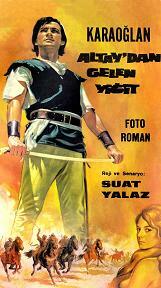 Also stars Ahmet Danyal Topatan. (In Turkish language, with English subtitles).